Building any kind of empire is no easy feat. It always starts with a strategy, a necessity for resources, and a whole lot of determination and hard work. Real estate is no exception in this regard, as every budding land magnate knows there is an immense amount of time, effort, and money required to get into this competitive and lucrative market. Most people who get into real estate do it with the intention of building considerable wealth which they often reinvest in more property to develop even more streams of revenue. Anyone contemplating entry into the real estate game typically has two options for starting out. They will either flip a property or purchase and hold it. As their fortunes improve, many people will get involved in both avenues, taking the money earned from one side and putting it into the other. Flipping usually means the property is purchased, fixed up, and sold for a profit. A purchase and hold investment involves buying a property and then renting it out to tenants who make rent payments each month. Each property you may encounter will be better-suited for one or the other. Some properties will prove to be a better investment as a flip, others will make far more sense to hold on to for a period of time. How to make that determination is your call and it can be tough to do as you’re just starting out. Like any major financial investment, the risk of losing your money is always prevalent, but you can minimize those risks by making smart and clear-headed decisions before you enter into a purchase. There are always certain things you’re going to want to look for. First you’ll need to do plenty of homework on the property itself, where it’s located, and above all, know when the investment is just too much for you to handle. There’s no shame in walking away from a deal when you realize that the property isn’t worth the amount of resources needed to get it in shape. We’re going to walk you through the two different types of opportunities for real estate investing and everything you need to consider before putting your time and money into either. Give this quick guide a read and, before you know it, you’ll be well on your way to building your own real estate empire. To most people it sounds pretty easy. You buy a home, sometimes a foreclosed home at an auction, for a low price and then resell it later at a profit. Seems simple, right? Well, the reality is that it’s not only very hard work but, if you’re not careful, you could lose large sums of money. You have to know what you’re doing if you’re going to get into this game and the first thing to know is this: you need money. Cash is a crucial component of house flipping so if you’re low on funds at the moment, getting into house flipping is going to be infinitely harder if not downright impossible. The old adage is true: you need money to make money. Cash is key. You’re going to need it for things like a down payment, realtor fees, closing costs, and the inevitable renovations that the home will need to undergo. If you’re not flush with cash already, then you may need to take out private mortgage insurance (PMI) on a second mortgage or apply for a loan or home equity line of credit. Since you’re going to be applying to lenders you will also need a credit score that’s going to get you approved. The requirements for approval have only gotten more stringent as of late and your credit score should help and not hinder the process. Home loans have become risky business for lenders these days and with the inherent perils of home flipping, the bank wants to know that they’re getting their money back in a timely manner. Even more important than available capital and an excellent credit score is knowledge. However, knowing the risks is only half of it. You also need to be equipped with the ability to determine what constitutes a smart investment of your money. When you flip a house you want to buy it at a price that’s as low as possible, in a desirable part of town, renovate it quickly and inexpensively, and sell it as fast as you can. Otherwise, you could be the one left holding the bag. The longer the house is on the market, then the deeper a money pit it could become. You’ll be making mortgage, insurance, and utility payments every month it’s not sold. That’s why it’s vital that you do your due diligence before you purchase that home, so your odds are even greater that it will sell immediately. Finding the right house can sometimes be a needle in a haystack. Knowing what constitutes a smart investment isn’t going to come to you immediately, it takes time and practice. In order to get started you really must be cognizant of the essentials, those things you must be aware of when you consider a property to help you decide if it’s ultimately going to sell after you’ve poured all of your blood, sweat, tears, and money into that house. The first thing, above all else, that you must do, and this is non-negotiable, is to actually go out and look at the house first-hand. The Internet has made the real estate market even more accessible than before, but it’s not enough to do all of the work from behind your desk. You’re never going to get a truly accurate picture of the condition of the home from online photos – it’s too easy to hide things from potential buyers that way. Step inside and do your own inspection of the premises before you do anything else. When you do that, here are the things you need to check out while you’re there to help you determine whether or not the house is a candidate for flipping. How does the house look? Does it need an extensive amount of work or just some cosmetic renovations and updating? Above all, is the structural integrity of the home intact? You don’t want to buy a property just to realize later on you need to tear the entire thing down and begin rebuilding from the ground up. Foreclosure auctions don’t always give you the opportunity to do a full inspection of the home by a licensed professional. If this is the case try to bring someone along who knows what they’re looking for in terms of foundation, electrical, plumbing, mold, and so on. Repairs are costly, so knowing what improvements are absolutely necessary to add value to the home and what you’re able to afford to have renovated are paramount to deciding whether or not the property is worth the investment. The golden rule of real estate: location, location, location. The neighborhood where a home is located can make all the difference in a sale. Do your research into which neighborhoods are on the rise and where buyers are looking to live. Consider the best school districts as well. Prospective home buyers who are on the fence about one home over another usually make their decision based on how good the schools are in that area. So find out where they are to better educate yourself as to the more desirable regions for potential buyers. These are the two most important areas of any house because homeowners use them the most. The kitchen in particular can make or break your investment. It’s where meals are made and eaten, not to mention where most of the entertaining is done. So you’ll want to make certain that these rooms are your first priority in making your assessments of the property. You’ve considered all of the variables in terms of resale possibility, but you also have to analyze the value of the home. The price tag must be lower than market value otherwise you’re not going to make much, if any, profit after you’ve put all of that capital into getting the property ready for sale. Find the most run-down, ramshackle home in the best neighborhood, because the only direction the value can go is up since the property values of the homes around it are all higher. Getting the best home in a lousy neighborhood is going to pose a much tougher challenge to turning a profit. This is the other strategy that many budding real estate magnates take when they’re trying to build their empire. In fact, many people who start flipping houses make enough income to start buying properties that they can then rent out to tenants for passive income, money that you can earn from a rental property or some other partnership. It’s called passive because the owner is just that, an owner, and they are not actively engaged in that property which can generate income. 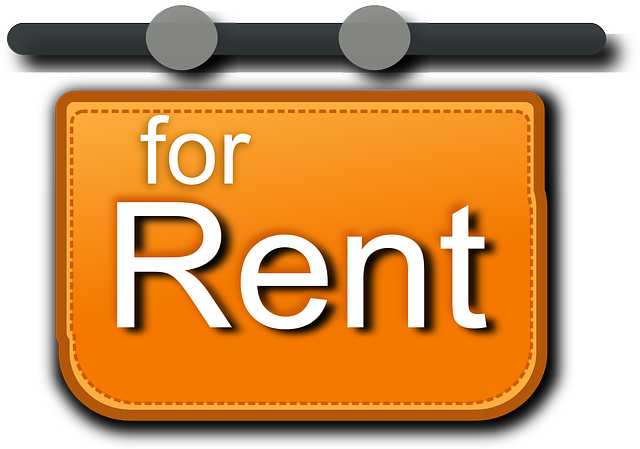 For all intents and purposes, you’re becoming a landlord. You own the property and someone else lives in it with the expectation that they will pay you rent for the privilege. Although the word “passive” is used in the terminology, it’s merely that: terminology. Overseeing rental property is also a lot of work, just as much perhaps as flipping houses, though what is expected of you is quite different. But before you can do any of this, you need money. Just like with house flipping. Now some folks will start flipping houses, turn a profit, and use that money to continue flipping more homes in order to build more income and eventually invest their hard-earned cash into properties that they purchase and hold onto for the purposes of renting. There is plenty of money to be made in rentals and the larger your empire becomes is often predicated on the amount of rental properties you own. Of course, you need to have tenants in order to make that income otherwise you’re sitting on an empty property that you are making payments on each month. So instead of finding a buyer quickly, you want to find a renter just as quickly. Getting involved in this type of investment takes just as much hard work and education as flipping properties. There are some distinct similarities between them in terms of the requirements and necessities for paying certain costs and expenditures. Both properties to flip and rent may require renovations, acquiring a loan, and knowing the best neighborhoods in which to pursue and purchase a property. However, with a purchase and hold type of property, the stakes are a bit higher. In this case there are other factors that you need to consider, primarily because this is a property you are planning on owning for the long-term. This isn’t an investment you’re making just to sell the property to another buyer. 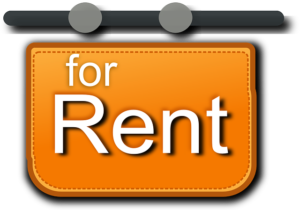 In this scenario you’re the buyer with the intent on renting it out to tenants. That brings with it additional risks that can lead to a loss of revenue just as quickly and dramatically as it might with a flipping situation. Purchasing a property for the purposes of flipping comes with specific considerations as to the health of the market, the areas where people are looking to live, and the condition of the property and the renovations that will be necessary to make it sell as fast as possible. With a long-term purchase for rental, the same factors remain true but it can be easier to get involved in a deal that is less than ideal. In order to avoid getting in on an investment that results in the loss of capital instead of an increase, you must be just as diligent in your analysis of the property as you would be if you were going to flip it. There’s simply no reason to get lazy and skimp on the details of your assessment. You may not be purchasing a foreclosure at auction, which means you may have the ability to get a professional inspection made. Do it and have as many experts analyze all of the same important aspects from structural integrity to the condition of all electrical and plumbing systems throughout. Basically, the house you’re buying should be able to meet the same standards and requirements as if you were going to resell it a few months from now. How much renovation and repair is necessary for the dwelling to be livable and can you afford to get that work done? Know all of these factors before you commit and, more importantly, know whether or not you’re getting a good deal. This can be tough to determine since you’re not looking to make a profit on a resale but rather more slowly on the rental market. Once you’ve figured out the value of the home, the cost, and the expenses you’ll incur on improvements, you’ll need to decide how you’re going to finance the investment. As stated before, some buyers will use the money they’ve made on flipping homes to put into this purchase. That’s not the only method available, however. 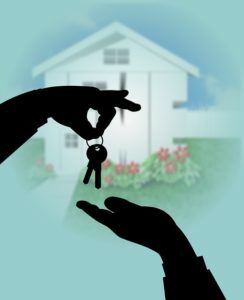 Private loans, Federal Housing Administration (FHA) financing, even partnerships with other individuals who will come in to finance all or part of the transaction are smart ways to get into the rental property market. However, much like with flipping homes, you’re going to want a credit score that lenders can’t refuse. Home improvements are part and parcel of any purchase, whether you’re planning on flipping the property or holding on to it for the long-term. You’ve likely delineated which repairs and renovations are necessary and possibly even decided which ones you can do yourself versus those that will require the added expense of a professional contractor. This is the part of the process that is the most time-consuming and costly, particularly when you realize that your initial budget has been woefully inaccurate. It’s just a fact of life, home improvements are almost always going to cost more than you expect. While the budgeting phase for renovations can be carefully calculated and re-calculated until you think you’ve got every dime accounted before the work starts, understand that there will be budget overruns. That’s why you want to account for some contingency financing, a cushion if you will, for when costs start to rise for whatever reason because they will. Hiring reputable vendors and contractors is also of paramount importance. You don’t want to get stuck with shady characters who may promise the moon and deliver you far less. Slackers, poor work, and companies that are overcharging for everything are just some of the perils you’ll encounter in the renovations phase and you need to be ready to fire someone at a moment’s notice. You can minimize these problems by taking your time to hire the right company. Do your research here as well, and do it well. Get referrals, ask around, look up local REIA groups, and exhaust every resource to find the most reputable companies who do the best work. Congratulations, you have a rental property that can potentially represent thousands of dollars of income annually. Passive? Well that’s up to you. 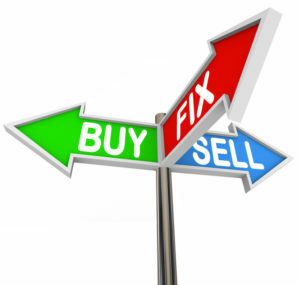 Are you going to come in and fix any problems that arise with the property or will you hire a handyman or some other maintenance company to come in and fix things? What about managing the property, is that something you are interested in doing yourself or will you need to hire a firm that handles all of the leasing, bookkeeping, and overall maintenance of the property. Basically, how passive do you wish to be and how much are you willing to pay someone else to do the work for you? When you’re the manager of the property, no one will take care of it better than you. In that case you’re not passive anymore as you’ll be doing plenty of work to make sure the property is kept up to your standards, the tenants are happy and, above all, they’re paying what they owe you every month. If you’re going to be the handyman, you need to know what your limits are and when you’ll need to hire an actual contractor. That can mean more money out of your pocket, but it’s important that you know what you’re capable of doing if you’re going to be the person managing everything. Managing a rental property is a lot of work and it can get in the way of focusing on buying up more properties to either flip or hold on to and rent out for additional revenue streams. Remember, you’re building a real estate empire here. So you need to decide if it makes sense to pay others to handle these things for you, freeing you up to pursue more houses to buy. Flipping or holding, both of them can bring you significant income. However, you need to be smart before you buy and educate yourself as to how you can make that money versus losing all of it. There is a lot to learn about the real estate market and while this guide is just a primer, it barely scratches the surface of the myriad of components that you need to understand about buying and flipping or owning for rental income. It all begins with what you can afford and the potential value in the house you’re thinking of buying. No matter what type of property you buy, look up what it costs to get common renovations completed and find the best contractors that others have used and found satisfactory. Before long, you’ll be able to identify a great deal when you see it and act accordingly before anyone else gets the jump on you. Above all, you’ll start to learn how to get the most out of a house with respect to improvements in order to add significant value and make it more attractive on the market. If you plan on renting it out, much of the same applies but you’ll need to factor in the added costs of maintenance and management. The same dedication to finding the best firms is still essential. There’s no time like the present to get started. It’s time to begin building your empire.